Over the last four years there has been a technological uprising in the way modern marketers have gone about implementing location-based marketing. Beacons first came into the picture when Apple released the iBeacon specification in 2013. Since then a number of players have entered the space and built entire businesses around the idea that beacons will eventually reach ubiquity and change the face of retail marketing. In the beginning, quite a few marketers had panned beacons as an overblown fad destined to join QR codes in the technology dead zone. However, the rise in beacon deployments spanning across various verticals, right from retail to museums to airports to events etc., have forced them to re-think their opinion on beacons. Which location technology makes sense for your business – geofencing or beacons? 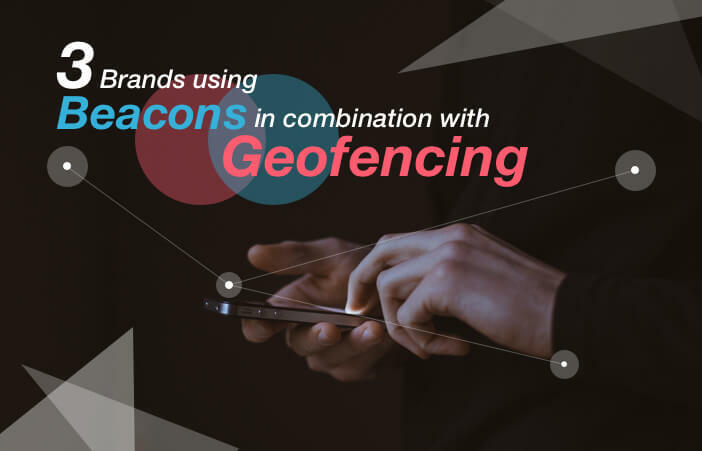 Inspite of the above, quite a few marketers still have their doubts on whether beacons make sense for their business when compared to other location-based technologies such as geofencing. In fact, this is one of those questions that frequently pop up in most of our client conversations. What is important to note here is that, geofencing and beacons are two technologies that are in fact complementary than at conflict with each other. We have already discussed about the differences between geofencing and beacons and how they work, in one of our previous blogs. However, to give you a better overview of the comparison between these two location location technologies we have come up with this table. Another interesting thing to note here is that, contrary to predictions around beacons, most enterprises geo-fence first, and then go on to employ beacons. For example, they may geo-fence all 1000 locations and then deploy beacons at say a maximum of 200 of those locations initially. This way they get to ensure that they learn how to best leverage the technology. And the good news here is that, of recent, beacons and geofences have cropped up across a number of nationwide deployments. One of the primary reasons behind this rise in using a combination of beacons and geofence, is the fact that location-specific notifications sent in conjunction with geofences and beacons are far more likely to be used than other marketing offers. For example, basic push notifications sent via a mobile app without leveraging any kind of location data have an average open rate of 4 to 8 percent. On the other hand, a geofenced notification has an open rate of 25 to 30 percent. 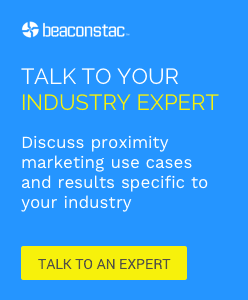 How do you decide on when it makes sense to leverage geofencing or beacons or both? Given that, a good rule of thumb to determine whether it makes sense to use geofences, beacons or both in your app, would be to think of geofences when the objective of a use case is to interact with users at a macro level in a designated area down to 50 meters. Beacons, on the other hand can be leveraged when the objective of the use case is to interact with users at a finer precision down to centimeters (“micro-location”). Thus, geofencing is more effective when it comes to broader marketing campaigns that target customers on a larger scale, while beacons work better if you are considering offering location based services indoors. A geofence one quarter mile outside the restaurant is used to notify the staff via the in-store system when the customer who ordered ahead is nearby. This way they are able to ensure that the food is not served in case the customer is either caught up in traffic or delayed otherwise. The beacons at the drive-through and the entrance are used to determine if the customer has driven through or walked into the restaurant. These beacons then prompt the in-store staff to keep the order ready. Another good example of how geofencing and beacons can be used in combination revolves around using geofencing to ensure that your app users turn on bluetooth before they enter your store in order to experience the personalized beacon-enabled notifications. This can be easily done using ‘Places’, a Beaconstac platform feature that allows retailers to define a geofence with ease. All they have to do is choose ‘Places’ from the navigation, click on ‘Add a new place’ and type in the attributes such as name, address (latitude and longitude values). Once that is done, they can easily define the range of a geofence (in metres). Once a retailer has set a geofence for a place, he/she will receive callbacks when the fence is breached and a user enters or exits the region. Retailers can then use these callbacks to show a notification, that gently nudges the users to keep their bluetooth turned on. Retailers can set up a geofence outside the store to greet customers that specifically like that store, and entice them to drop in, by sending a personalized offer. Once they are inside the store, beacons in-store can be used to provide product information and reviews as the customers approach certain specific racks. Adding on to that, beacons can also be placed at the cash register to automatically wake up the phone and pull up coupons or loyalty points rather than requiring the customer to fumble through their e-mail for it while everyone in line behind them is left waiting. To make things more simple, we have come up with a list of some common scenarios and what the optimum solution might be in each of these cases. Late last year, Elle Magazine leveraged a combination of both location-based technologies, geofencing and beacons, to run campaigns in honor of its 30th anniversary September issue. As a part of the program called ShopNow!, Elle made its editors’ product picks available to users on ShopAdvisor, a personal shopping concierge app and RetailMeNot, a mobile coupon app. Any consumer who had opted in for push notifications via ShopAdvisor was notified when he/she was near a retail store selling a product suggested by Elle, using geofence technology. In case the customer had chosen to visit the store listed with that particular product, he/she got another notification with a promotion offer by RetailMeNot through beacons. The program delivered 500,000 in-store visits and more than 12 percent content engagement rate for participating retailers, Barnes & Nobles, Levi’s, Guess, and Vince Camuto, across the country during last September and October. Video game retailer, GameStop leveraged beacons and geofencing technology to push location-relevant content and offers to members of its loyalty program, PowerUp. As a part of this campaign, consumers who had PowerUp loyalty program’s app on their mobile phone and had opted in to receive push notifications, received personalised messages via the app as they walked by the store. Once inside the store, beacons were used to display greetings and relevant messaging. The video game retailer also used beacons to setup “hotspots” throughout the store. Consumers could bring their phones near the beacon, if they wanted additional product information like reviews and trailers for selected games. Woolworths, a supermarket giant, leveraged beacons in combination with geofencing, to offer better click-and-collect services at the Norwest Circa Woolworths store in Sydney. The supermarket chain asked their consumers to download a dedicated mobile app in order to access this click-and-collect service. The app was directly connected to the in-store systems, thus ensuring that in-store staff were notified about a consumer’s order and proximity to the store. As a part of this campaign, when a consumer who had placed a click-and-collect order comes within the geofence radius of the store, a notification is sent to Woolworths’ picking systems, prompting the in-store staff to start completing the order. Once the order is ready, a beacon-enabled push notification is triggered via the app to the consumer, informing him or her about his or her order being ready. As a result of the successful beacon trial, Woolworths rolled out beacons to all of its 254 click-and-collect stores. Are there any other campaigns that have leveraged beacons in combination with geofencing? Let us know in the comments below. We see the same thing. Beacons and geofencing definitely complement, and could access the same (or related) content. We also see digital signage and beacons as a great opportunity. On top of that we also provide access via NFC tags, QR codes, SMS etc. Geo-fencing doesn’t require an app! How do you in a B2C scenario configure geofences in a phone without an app? Link is enough. Thanks in advance.